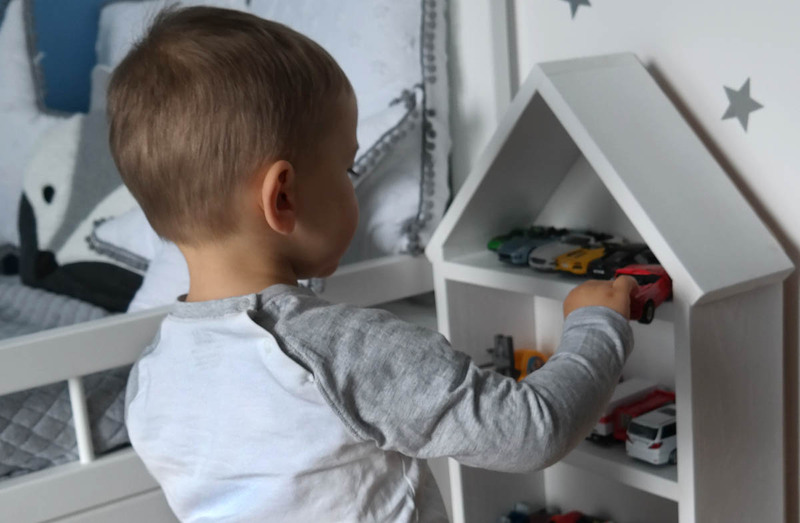 What would a kids' bedroom be without furniture? Therefore, besides textiles, we have wooden beds, shelves and cabinets in our offer, all made of solid wood. 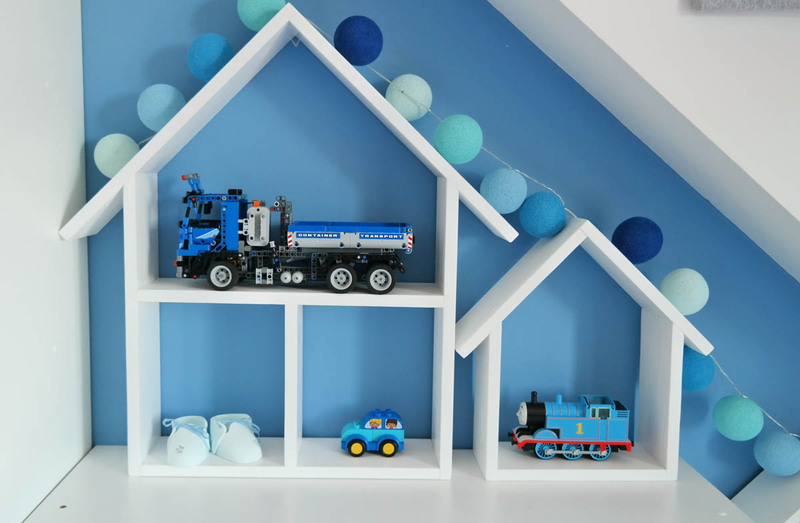 Thanks to that, we provide a comprehensive decoration for your child’s bedroom. All products are covered with anti-wash, detergent, scratch resistant, child-friendly and certified scouring wood. 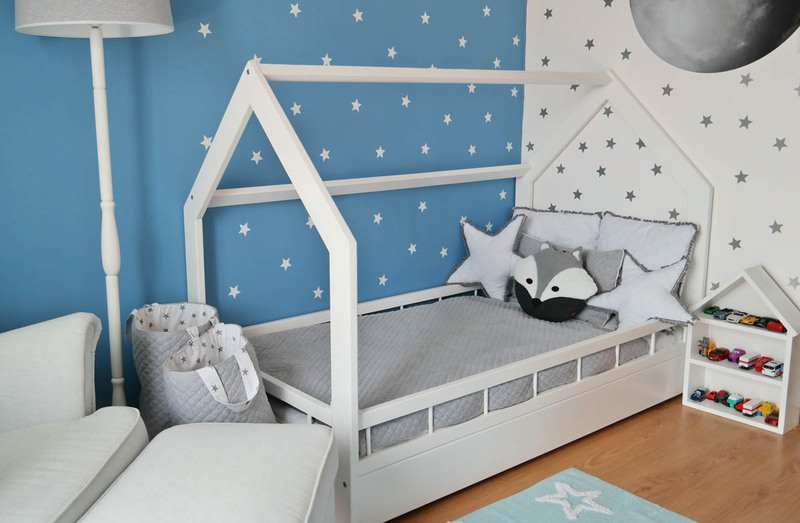 In addition, our designers make every effort to make our furniture make your child’s bedroom unique. Once upon a time, in a beautiful forest at the edge of a meadow, there lived a little girl named Velinda. She was healthy, pretty and clever, but she only had on worry; she wasn’t able to sleep. Velinda tried every solution: herbs, potions and magic spells, but it was all for nothing. But one night, she decided to leave the house with hope that her journey will tire her enough for dreams to come. Stumbling in the forest, she finally felt as if she needed to sleep, so Velinda lay under a large, enchanting tree. Not knowing when, the small girl fell into a deep slumber. In the morning, well-rested and delighted, Velinda ran back home to tell her parents the good news, who were worrying about her sleeping problem. She was convinced her rest was thanks to the magical tree. Her father, who treasured his daughter dearly, collected the branches from under the magical tree. He then asked the best carpenter in the area to create a bed, out of the wood he gathered, for Velinda. Since then, Velinda never had a problem with falling asleep again. You don’t believe Velinda’s story? See if your child falls asleep as if they were touched by a magic wand in a unique bed designed by us. And maybe in their dreams they will meet a new friend with a familiar name.